Here we have a customer ordered custom tele with a twist. 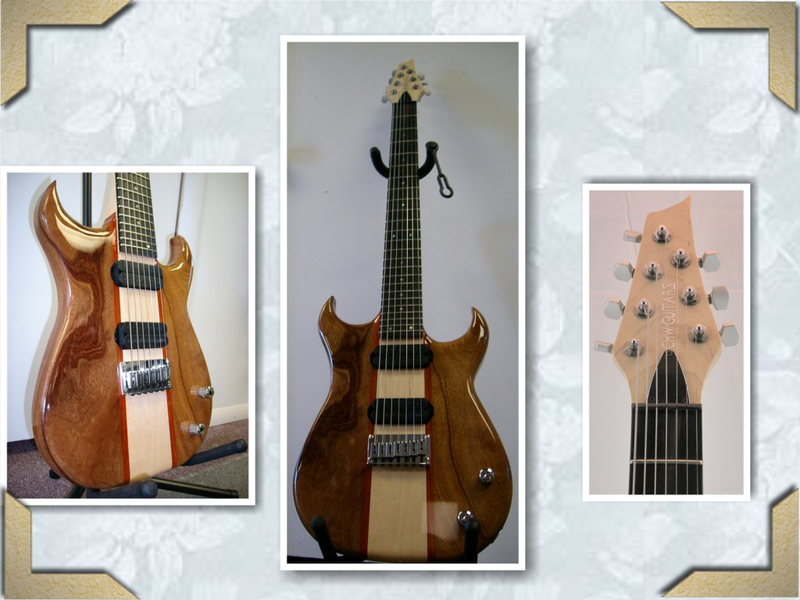 The body is made from ribbon sawn mahogany and the neck is goncalo alves. 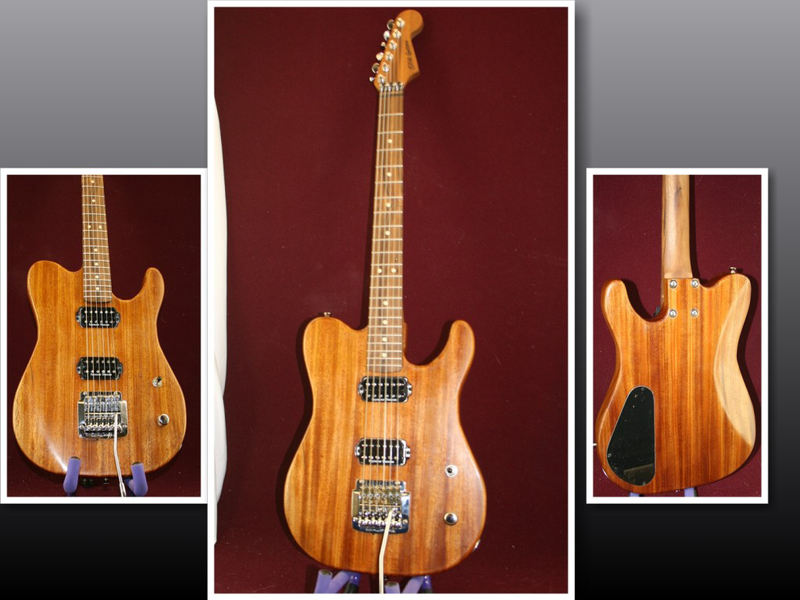 Finished with a beautiful Tung oil and brought together with a kahler bridge, Seymour Duncan pickups and Grover tuners. 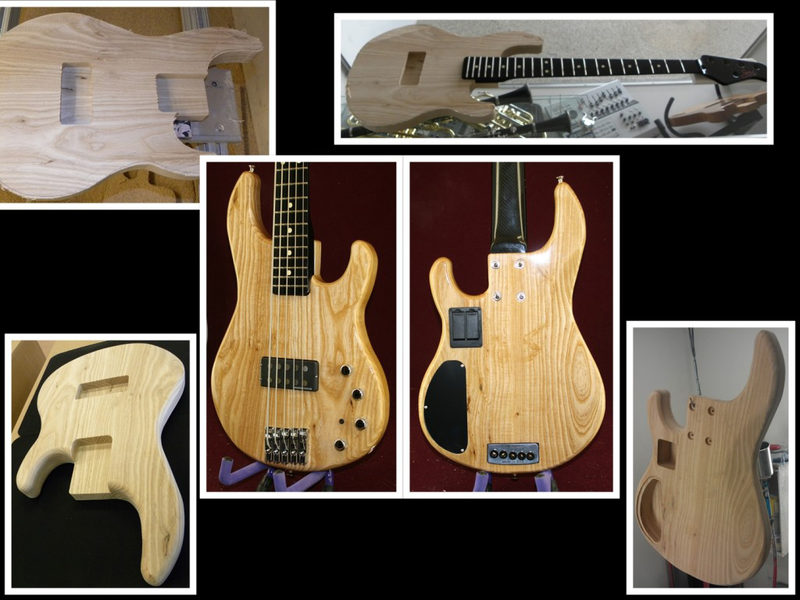 This was a cool build that found its way overseas to Europe although we normally manufacture all of our own neck. It was a pleasure to incorporate a carbon fiber/graphite neck made by Status. The body is made from ash to really bring out the sustain. It is equipped with incredible 18v Bartolini electronics to really bring out the traditional Music Man tone. Finally we incorporated hipshot saddles and a custom rear plate proudly displaying Made in USA. 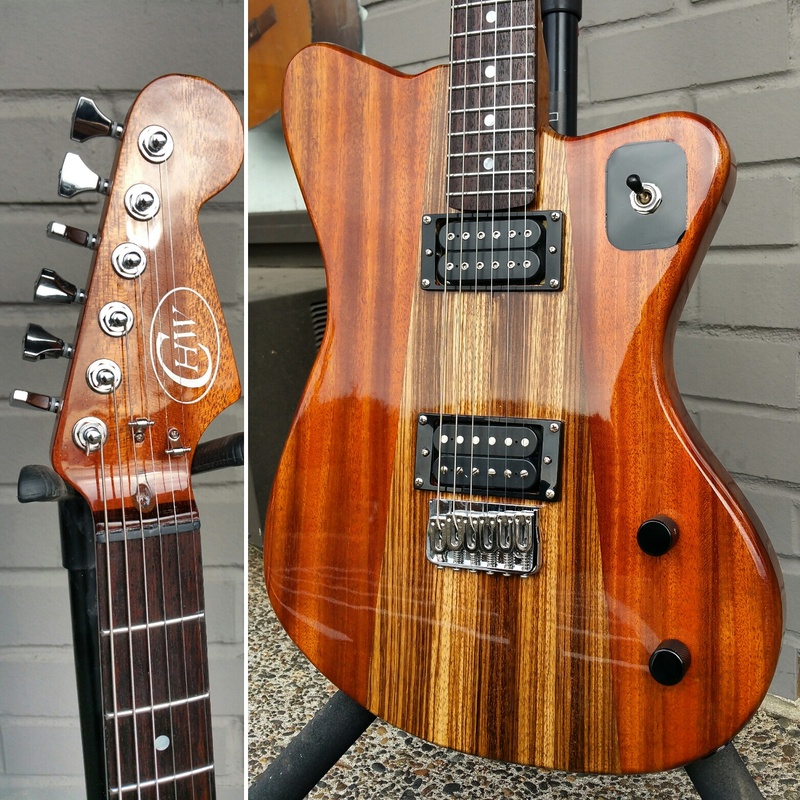 Custom LG7 guitar This one features a our neck thru design made from eastern rock maple capped with a ebony 24 fret fingerboard and jumbo frets. 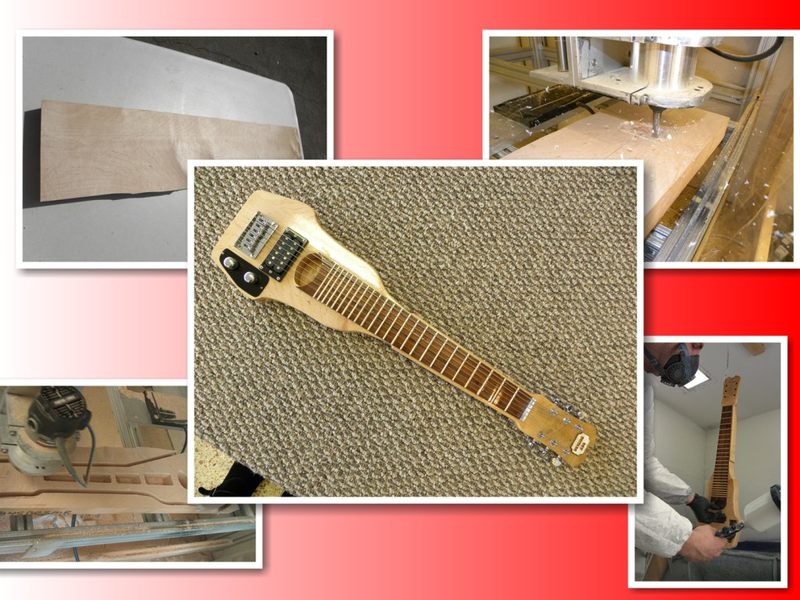 The body is made with hand selected African mahogany wings and padauk stripes. We also added ebony knobs, Electrosocket jack, Sperzel tuners and Carvin pickups.